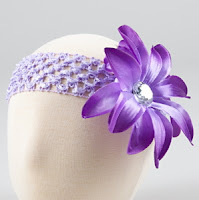 Beautiful Hair Clips, Bands + More from $2.50 + Free Shipping or 10% Off! Little Divas Hair Accessories is having a sale on Totsy right now, with prices starting at just $2.50 for adorable hair clips! 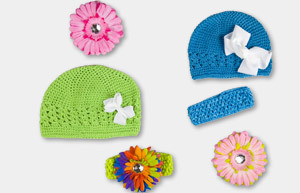 Also being sold are headbands and hat & headband sets, and all of these are so pretty and cute! That big flower headband is only $5, down from $14! Save another 10% off your order using the code COUPONCABIN at checkout. If this is your first Totsy purchase within 30 days of registering, you will receive free shipping instead of being able to use the code.